Traffic-related air pollution and gases associated with air pollution may lead to the formation of dark spots on the skin, known as lentigines, or “liver spots,” says research published in the Journal of Investigative Dermatology. Lentigines are small, darkened areas of the skin that tend to appear on the face, forearms, hands and upper body. They may start small but can grow bigger, and smaller patches can merge. They are normally brown but can range from yellow-tan to black. They affect light-skinned people, in particular. In the US, 90% of white people older than 60 years and 20% of those younger than 35 years develop them as a result of sun exposure. Lentigines contain a higher number of the melanin-forming skins cells (melanocytes) than the surrounding skin. They are generally benign, although some may be pre-cancerous. Both nitrogen dioxide (NO2) and soot, or particulate matter, are found in higher concentrations in traffic-related air pollution. Dr. Jean Krutmann, of the IUF-Leibniz Research Institute for Environmental Medicine in Dusseldorf, Germany, had already found that skin is affected by air pollution, including a link between traffic-related soot exposure and the prevalence of lentigines. Exposure to NO2 has been associated with decreased lung function and lung cancer, but the effect of NO2 on human skin has been unclear. Dr. Krutmann led a large-scale study of women from Germany and China to investigate a possible link between air pollution and lentigines. The Chinese group included 743 Han Chinese women from the Taizhou region in China, with an average age of 59, ranging from 28-70 years. They spent an average of 3.5 hours a day in the sun, but only 4.2% of this group used cosmetics with a sunscreen. Again, 20% of the women had a history of smoking. The German group were exposed to NO2 at an average level of 28.8 µg/m3, and the Chinese women were exposed to 24.1 µg/m3. Photo reference scales were used to evaluate the spots and a validated skin aging score system (SCINEXA) was used to quantify them. Higher levels of NO2 were not linked to the formation of lentigines on the back of the hands or forearms, but they did seem to increase the likelihood of patches on the cheeks of both German and Chinese women aged over 50 years, particularly the cheeks of Asian women. Overall, an increase of 10 µg/m3 in NO2 concentration was associated with approximately 25% more dark spots. When the researchers performed analyses to identify whether the main cause of the spots was the concentration of particulate matter or NO2 gas, they found that NO2 had a slightly stronger effect. But the more interesting aspect, he added, is the idea of developing the equivalent of ultraviolet (UV) filters to protect against pollution. Dr. Krutmann explained to MNT that particulate matter contains carbon particles, which are covered on the surface by what we call polyaromatic hydrocarbons. These polyaromatic hydrocarbons, he said, are lipophilic, which means they can dissolve in oil. This enables them to penetrate through the outer layer of the skin to reach viable skin cells. The hydrocarbons can activate these cells, he continued, through the function of the aryl hydrocarbon receptor (AHR) causing oxidative stress. Therefore, products containing specific antioxidants may offer some protection against the pollution and the skin damage. However, Dr. Krautmann told us that a more “upstream” solution of blocking the receptor would be more efficient. He added that they have already developed an antagonist for this receptor, which is a cosmetic ingredient that can be put into creams to provide protection against pollution. A surgeon operating on a brain tumor does not want to remove any more tissue than is completely necessary. The consequences of removing too much brain matter can be severe. By the same token, the surgeon is eager to remove the entirety of the cancerous growth; the consequences of leaving a cancerous residue are equally severe. As things stand, this balancing act can only be managed using the surgeon’s senses. He must palpate the area and inspect it visually for remaining cells. To fully and definitively ascertain whether a cell is cancerous, a sample must be sent to a pathology lab. There, the sample will be frozen, sliced, stained and mounted. Only then will it be inspected by a microscopist before the results are sent back. The whole process can take days. A surgeon cannot leave a patient’s skull open to the air for that amount of time, however. A groundbreaking invention that has the potential to rid us of this waiting game is currently being perfected by the University of Washington. The device, not much bigger than a pen, will allow surgeons to observe their patient on a cellular level, there and then. 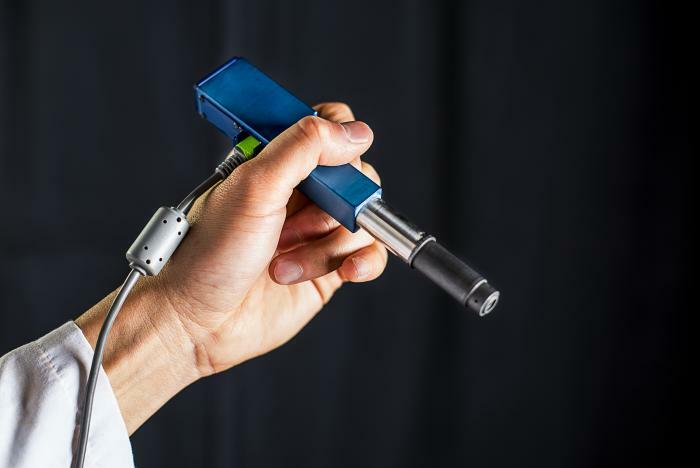 This incredible mini-microscope is being developed in collaboration with Stanford University, Memorial Sloan Kettering Cancer Center and the Barrow Neurological Institute. The ongoing work was recently published in Biomedical Optics Express. It is not just in the neurosurgeon’s domain that this technological advance might come in useful. Dentists routinely come across a suspicious or unexpected lesion in a patient’s mouth. In these situations, it is important to err on the side of caution, excise the tissue and send it for analysis. These patients are subjected to procedures that, more often than not, turn out to be unnecessary; this also puts additional pressure on pathology labs. A miniature microscope could remove the need for many superfluous procedures; in dermatological clinics, for instance, it could be used to quickly define which moles require further investigation. In recent months, public health officials around the country have started using a popular new method to prevent the spread of HIV called “test and treat.” But a USC study advises that this approach could be counter productive. The new strategy calls for universal HIV testing of sexually active adolescents and adults as part of routine health screenings, followed by immediate drug therapy for all who test positive for the virus – instead of waiting until their immune system is more compromised. Public health officials nationwide have embraced the strategy, as it’s been shown to substantially reduce the number of HIV cases and resulting deaths from AIDS. Some experts suggest “test and treat” could even eradicate HIV. But USC researchers from the Schaeffer Center for Health Policy and Economics say their mathematical models indicate the need for caution. The models predicted that if the “test and treat” strategy were applied for ten years, the prevalence of multi-drug resistant HIV strains would nearly double, from 4.79 percent to 9.1 percent, says Neeraj Sood, an associate professor at the Schaeffer Center. “That is a worry because if you have multi-drug resistant HIV, then treatment for HIV is less effective for you,” Sood says, adding that the uncertainty of how new strains may evolve and whether new drugs can be developed to battle them remains unknown. Sood advises a more cautious approach, in which public health officials would continue with aggressive HIV testing, but postpone early-stage treatment of the virus. 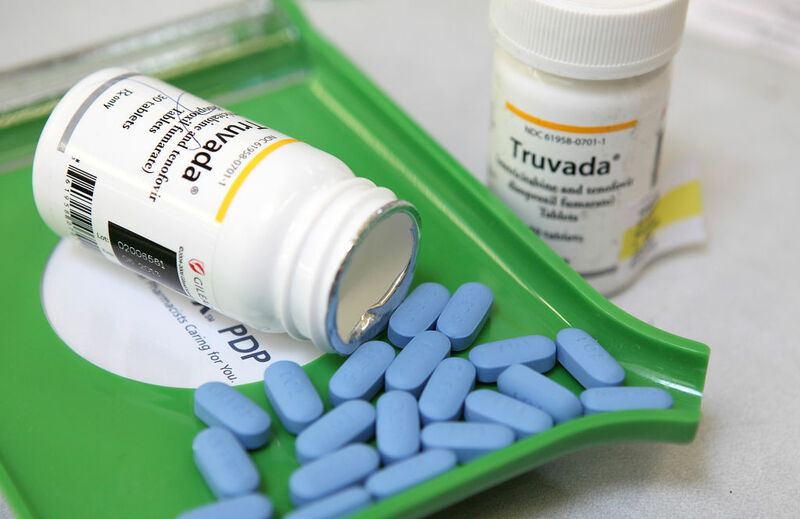 The study showed this more modest strategy offers an almost 18 percent reduction of HIV infections, without the increase in drug-resistant HIV strains. The USC researchers said their study also calls into question the claim that “test and treat” could eradicate HIV. Sood says he and his team of researchers based their assessment on mathematical models that focused on LA County’s population of sexually active gay men, which accounts for 82 percent of all county residents infected with HIV/AIDS. A compound found in a plant used for centuries in China as a pain reliever may be effective in treating chronic pain, according to new research. The key pain-relieving ingredient is a compound known as dehydrocorybulbine (DHCB) found in the roots of the flowering plant Corydalis, a member of the poppy family. “Our study reports the discovery of a new natural product that can relieve pain,” said Olivier Civelli of the University of California, Irvine. This analgesic acts in animal assays against the three types of pain that afflict humans, including acute, inflammatory, and neuropathic or chronic pain,” Civelli said. Civelli, along with Xinmiao Liang, made the discovery as part of the “herbalome” project, an effort to catalogue all of the chemical components of traditional Chinese medicine. The researchers went looking for compounds in Corydalis that appeared likely to act in a manner similar to morphine.”We landed on DHCB but rapidly found that it acts not through the morphine receptor but through other receptors, in particular one that binds dopamine,” Civelli said. The discovery adds to earlier evidence showing that the dopamine D2 receptor plays a role in pain sensation. While Corydalis extracts or isolated DHCB work against all types of pain, they hold special promise for those who suffer with persistent, low-level chronic pain. For one thing, DHCB doesn`t appear to lose effectiveness with time in the way that traditional opiate drugs do. 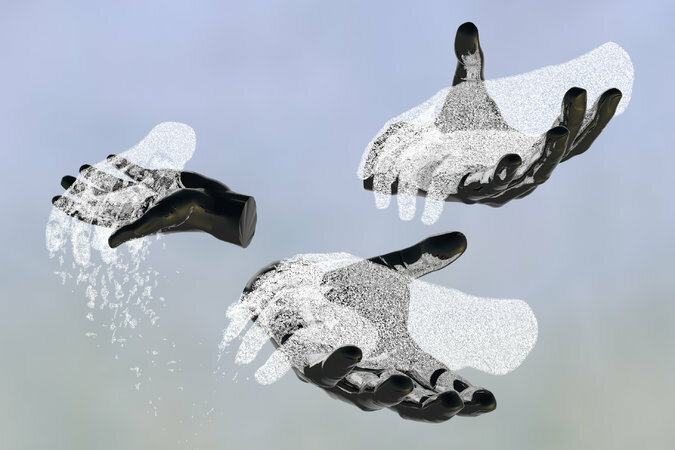 “We have pain medication for inflammatory pain, such as aspirin or acetaminophen. We do not have good medications for chronic pain. DHCB may not be able to relieve strong chronic pain, but may be used for low-level chronic pain,” said Civelli. Pain sensitivity is controlled by a genetic “dimmer switch”, which can be re-set, UK scientists have discovered. Twins sharing 100% of genes have different pain thresholds, which can potentially be altered by lifestyle or medication, say researchers at King’s College, London. The study could lead to new painkillers or lifestyle interventions, they report in Nature Communications. One in five of the population suffers from acute or chronic pain. Lead researcher Dr Jordana Bell said the potential to regulate genes involved in pain sensitivity “is very exciting and could lead to a more effective pain relief treatment for patients suffering with chronic pain”. Sensitivity to pain is complex, with wide individual variation. Previous studies have suggested about half of the influence is explained by genes. To identify levels of sensitivity to pain, scientists tested 25 pairs of identical twins using a heat probe placed on the arm. Identical twins share 100% of their genes; therefore any difference between identical twins must be due to their environment or changes affecting the function of their genes. Study participants were asked to press a button when the heat became painful for them, which allowed the researchers to determine their pain thresholds. Using DNA sequencing, the researchers examined the whole genetic codes (genomes) of the twins and compared them with 50 unrelated individuals. The research team found chemical changes within nine genes involved in pain sensitivity that were different in one twin but not in her identical sister. These were most significant within a known pain sensitivity gene, which is already a target for the development of new painkillers. Research into the switching on and off of genes, a process known as epigenetic regulation, is a big growth area for the development of new medicines. Tim Spector, professor of genetic epidemiology at King’s College London, said epigenetic switching is “like a dimmer switch for gene expression”. The chemical changes act like a “thermostat” or “dimmer switch” to set an individual’s pain sensitivity, Prof Spector added. 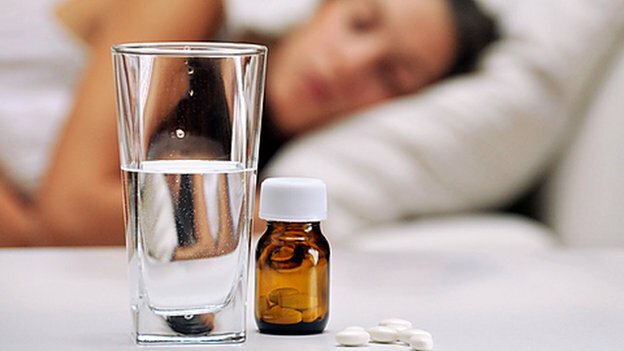 “Using drugs or changes in lifestyle, we might be able to reset that thermostat, allowing that person in the future to feel less pain,” he told BBC News. The woman, a 27-year-old in the United States, had undergone genetic testing that showed she had inherited a gene that put her at risk for Gerstmann-Straussler-Scheinker (GSS) syndrome, a rare and fatal brain disorder seen in only a few families in the world. Symptoms of the condition usually appear between ages 35 and 55, and include progressively worsening speech, movement and memory problems. To have children, the woman and her husband used IVF, an assisted-reproduction technique in which eggs from the mother are fertilized in a laboratory. But before implanting the embryos in the uterus, doctors took an extra step and screened the embryos for the GSS genetic mutation. Researchers have identified abnormal expression of genes, resulting from DNA relaxation, that can be detected in the brain and blood of Alzheimer’s patients. The protein tau is involved in a number of neurodegenerative disorders, including Alzheimer’s disease. Previous studies have implicated DNA damage as a cause of neuron, or cell, death in Alzheimer’s patients. Given that DNA damage can change the structure of DNA within cells, the researchers led by Bess Frost examined changes in DNA structure in tau-induced neurodegeneration. They used transgenic flies and mice expressing human tau to show that DNA is more relaxed in tauopathy. They then identified that the relaxation of tightly wound DNA and resulting abnormal gene expression are central events that cause neurons to die in Alzheimer’s disease. “Our work suggests that drugs that modify DNA structure may be beneficial for treating Alzheimer’s Disease,” they wrote. 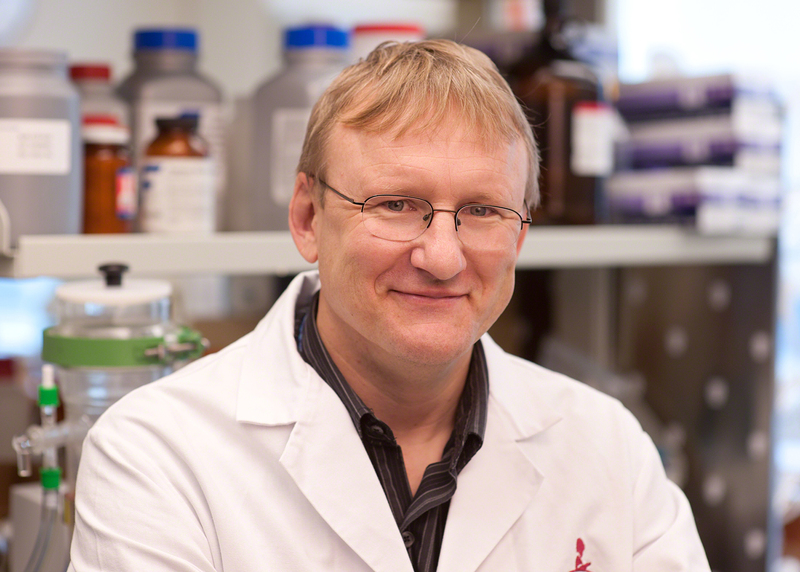 St Jude Children’s Research Hospital scientists have discovered a promising new class of antibiotics that could aid efforts to overcome drug-resistance in tuberculosis (TB). The drugs increased survival of mice infected with TB and were effective against drug-resistant strains of TB. St Jude led the international research effort, results of which appear in the journal Nature Medicine.